A new version of WiFi-autopwner 2 is released in which many new features. Some of them are quite interesting. We will pass on innovations, and also we will learn how to use them. By the way, thanks to Onefivefournine for the reorganization of text strings in the source code - this allowed to transfer them to separate files and greatly facilitated the work with them. The first section contains a list of actions with a Wi-Fi adapter. As before, it can be switched to monitor mode and returned to the managed mode. Now TX-Power increasing is available. For some Wi-Fi adapters, this can be done by changing the region in which, as the Wi-Fi card ‘thinks’, it works. For some adapters it is necessary to patch the Central Regulatory Domain Database, and for some it is generally impossible to increase TX Power. Detailed explanations why this is so you will find in the article ‘How to increase TX-Power of Wi-Fi adapters in Kali Linux’. The WiFi-autopwner 2 script as a soft way to increase TX-Power changes the region. As a way to continuously change the power, the Central Regulatory Domain Database is patched. After patches are applied, reboot is required for the changes to take effect. I always recommend that when you do the security audit of Wi-Fi networks, stop NetworkManager, because its constant intervention makes the attacks unstable and leads to incomprehensible and random errors. However, you may need to connect to a Wi-Fi network, for example, to Captive Portal to perform a further attack. Some attacks require Internet access. So now the script helps you to connect to Wi-Fi networks directly from the command line. Remember that you can select the Wi-Fi adapter for which the action is being performed. For example, we want to check all access points in 3WIFI. To do this, we select the first adapter and connect to the Internet. Then select the second adapter and use it to scan the wireless networks. The function of creating an Access Point with or without a password has been added. This access point can be used to amplify a signal from a remote Access Point or to make an Internet connection available to other devices. A very simple module scans the local network, looks for what devices are in it and displays their open ports. 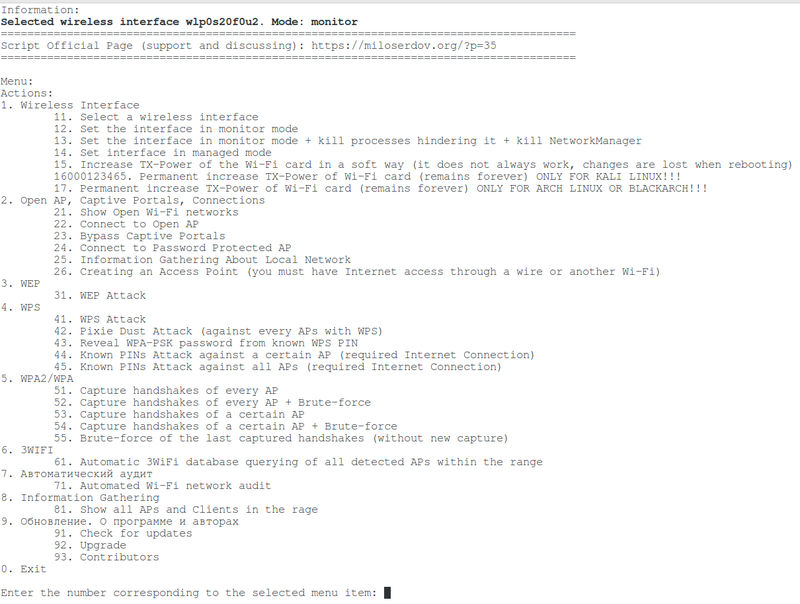 In addition, it automatically starts RouterSploit to check a router for all vulnerabilities. This is my favorite of the new features. The power of this attack is comparable with Pixie Dust or even surpasses it. An explanation of how this works in the article ‘Effective WPS PINs attack based on known PIN and PIN generation algorithms’. 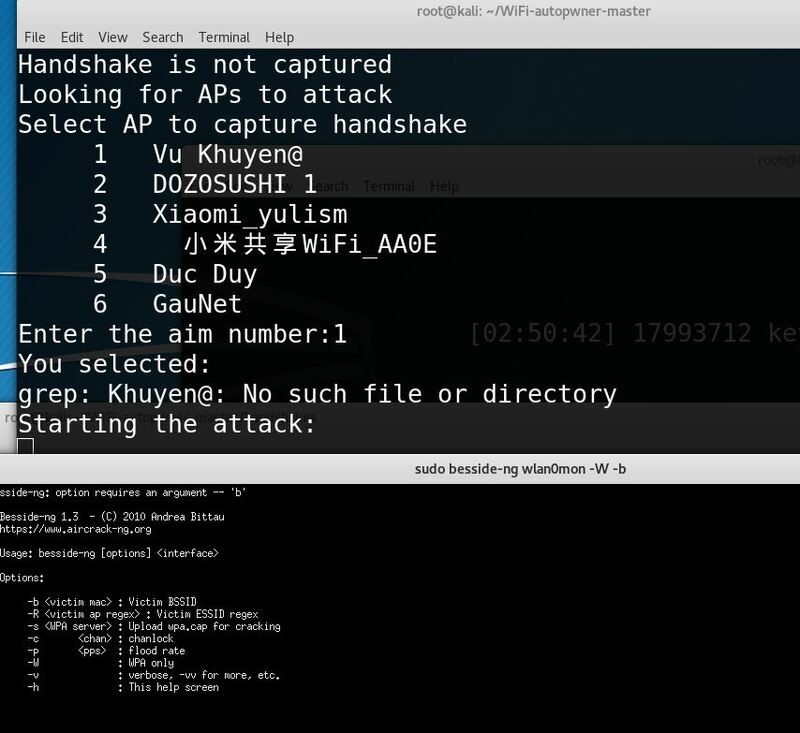 A similar attack is implemented in Router Scan by Stas'M, but Wi-Fi attacks in this program work only on Windows. WiFi-autopwner solves all these problems. Moreover, it is possible to attack both a certain Access Point, and all APs which have WPS enabled in the district. But there is a nuance - there are no built-in algorithms for generating PINs (so far), so it uses the online service 3WIFI, to which BSSIDs (MAC address of the attacked AP) are sent, and in response we receive the generated and known PINs. For this reason, this attack requires Internet access. By the way, airgeddon works completely offline, but I already wrote about its limitations: there is no automation and adapters with the popular Ralink chipset are not suitable. This function I wanted from the very creation of WiFi-autopwner. And at last it is implemented. Earlier, during the capture of handshakes, the zizzania program was used. Now Besside-ng is used instead. All captured handshakes are split into separate files and stored in the handshakes folder. Then, depending on the option selected, automatic brute-force is started. By default, brute force is performed by hashcat. This is the most preferable option, because it is faster. But for the correct operation hashcat needs installed proprietary drivers and not everyone can configure it. 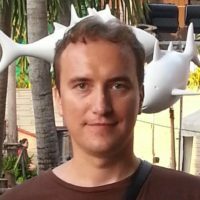 Therefore, if hashcat does not work for you, comment out or delete the line CRACKER="hashcat", as a result for brut-force will be used aircrack-ng - this program hacks the password using the central processor, so it works on any system, even in a virtual computer. The RunDictAttack=1 option means a dictionary attack. This attack is enabled by default. In the bundle with the program there is a cleaned dictionary rockyou. The RunMaskDigitAttack=0 option triggers a mask attack. The mask is configured for passwords composed of numbers in 8 to 10 characters - phone numbers, birthdays and simple digital passwords are here, that is, it is an effective attack. But it requires a fairly powerful hardware and a lot of time. Hashcat on average hardware cracks eight-character passwords composed of numbers in a few minutes, passwords of nine characters in a few hours, and for 10 characters it takes several days. Therefore, by default this attack is disabled. Handshakes are never deleted and you can use them later. All of them are stored in the handshakes folder and are divided into subfolders depending on the capture date. In the hccapx folder, hashes for hashcat are stored (if this program is selected for brute force). 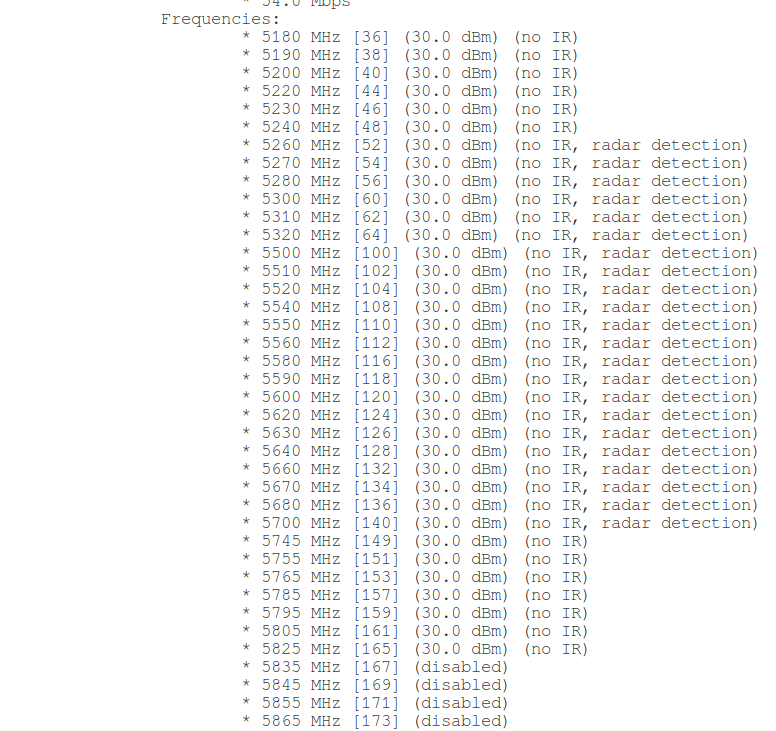 Added a script from the article ‘How to detect all Wi-Fi devices in the area?’. Screenshots and how to use the data you find in the same article. This feature was added earlier, but someone could miss. In the new version, the algorithm of work has been slightly changed - now, when searching by the name of Access Points, it is case-sensitive search. Other details in the article: ‘3WiFi: open database of Wi-Fi Access Points passwords’. 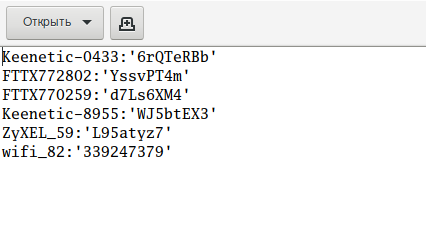 Now the passwords from automated attacks (when attacking several Access Points at once) are stored in the all_wifi_passwords.txt file, and the access points themselves are added to cracked.txt. Note that this happens not in all attacks and the cracked.txt and blacklist.txt file checker function is still raw. This will be fixed in future releases. There are ideas in the next versions to separate most of the hard-coded settings to the settings file and add the ability to change them through the program interface so that users can set themselves, for example, timeouts. To speed up the automated Pixie Dust attack against all access points, control over running processes will be added and obviously unpromising attacks will stop immediately to move quickly to the next. By the way, if you sit in front of the monitor and watch the program is working, then when Pixie Dust attack is performing if one of the windows is closed, then the attack will definitely not bring results. Therefore, close the second window, so that the transition to the next AP occurs more quickly. Algorithms for generating PINs, as well as a database of known PINs, are supposed to be taken from airgeddon. I am seeing a missing option while choosing "capture handshake of certain AP + brute force". I have attached the image. Hello! Thank you for your report. It seems that Access Points with special symbols or spaces in their names cause the error. I will perform some tests and fix the problem. Please add Capture PMKID of ALL APs, and I agree, offline Algorithms is essential. Yes, I will do it later.